On 15 January 2015, we launched our latest business innovation: Call Recording for SIP and Virtual Line. Whether you’re running a business or managing a government-run organisation, a tool to record calls is essential. Call recording can help you become more aware of your communications with your clients and customers, enabling you to refine operational processes. 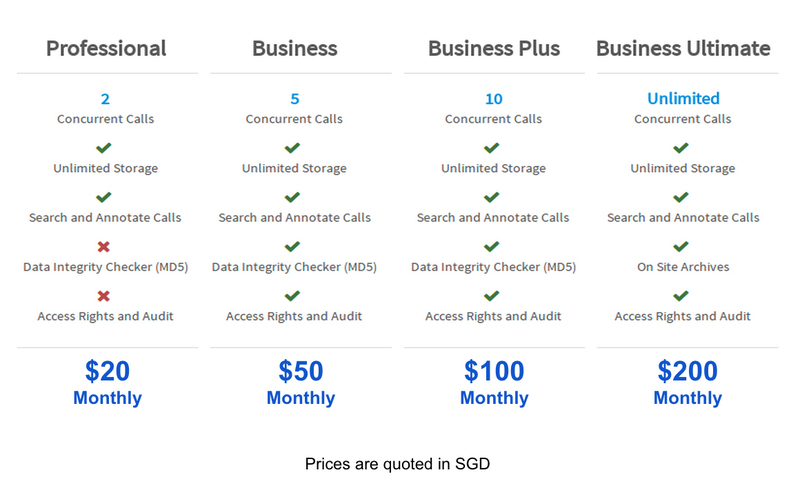 To stay in compliance with Singapore Personal Data Protection Act which came in force barely 6 months ago on 2 July 2014, companies will find Call Recording very useful for keeping track of using customer consent for sales and marketing activities. These call recordings can be used for investigation into disputes, especially when a customer complains that the call has gone beyond their given consent. Financial Advisers will find staying in compliance with Singapore Financial Advisor Act a breeze too with Call Recording, as they are required to maintain records of all communication between the financial adviser and the client relating to the provision of financial advisory for investment product, including a record in the form of a file note or a recording of the telephone conversation. Most businesses conduct some form of commerce and bookings via phone calls, and sometimes the inevitable complaints may arise. Protect your company from false allegations and save lengthy investigation costs in the event of disputes by simply retrieving the recorded call log. Besides the mandatory compliance required for businesses, Call Recording can be used for telemarketing and customer service operations. These recordings can also be used for quality assurance, internal staff training and security purposes. 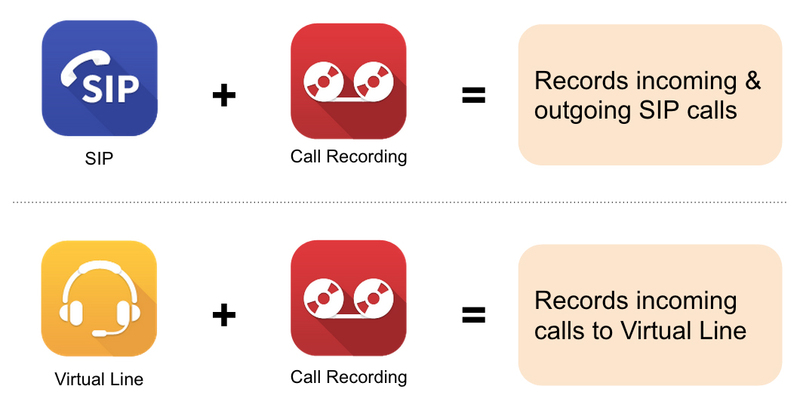 Call recording is able to record incoming calls to Virtual Line and both incoming as well as outgoing SIP calls. Protect your business and give your staff the confidence without creating a dent in operations with these flexible pricing to suit your business needs.